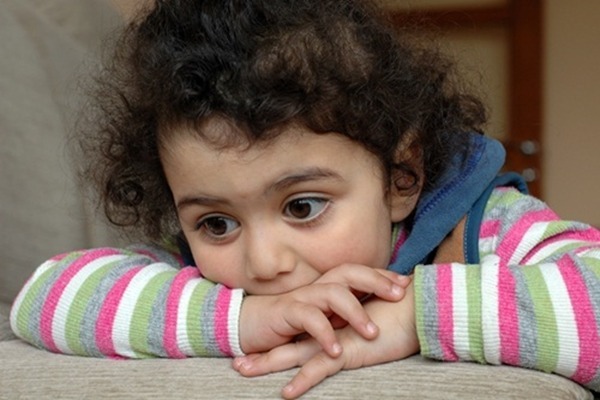 Are you Inadvertently Shaming Your Toddler? If you’ve ever spoken about your child in front of other adults as if they weren’t there or insisted your child share a favorite toy with another child, there’s a good chance you are. As parents, we shame our children out of love, concern and, yes, power: by trying to assert who we think that child should be and how we think he should fit in the world, we inadvertently make our young children feel ashamed when they are at their most vulnerable. Most of us don’t even realize when we’re inflicting shame, that horrible feeling of embarrassment and self-hatred. Insisted that your child write his name or letters “this way,” and when he has trouble, you pick up a pencil or crayon and write it for him? Chided your child for not responding to a stranger’s greeting or questions? Asserted that your child dress in a certain way that implies there is only one way (“the right way”) to look? Looked in astonishment or horror when your “easy child” finally acts out and hits her younger brother after he has teased her for an hour in the back of the car? Constantly praised your sweet, well-behaved eldest child about how “good” and “sweet” he is? The challenge for us as parents is giving children between ages two and five enough freedom to start making some of their own choices, so they can start making – and owning – their mistakes. What we see as mistakes, they take as part of the natural process of growing. So how do parents avoid pushing the shame button? They need to pull back and remember that their child is learning; learning means trial and error and figuring-it-out. This means backing off, directing less, withholding criticism, letting their children try on their own, and refraining from correcting tasks they think are done incorrectly or from doing tasks for them. But it also means being there to help and comfort them when frustration, discomfort and upset set in. Tovah Klein is the author of How Toddlers Thrive: What Parents Can Do Today for Children Ages 2-5 to Plant the Seeds of Lifelong Success. In addition to being the director of the Barnard Toddler Center for Toddler Development, she has been an advisor for Sesame Street, and her advice has appeared in The New York Times, Redbook, Parents, and countless other publications.